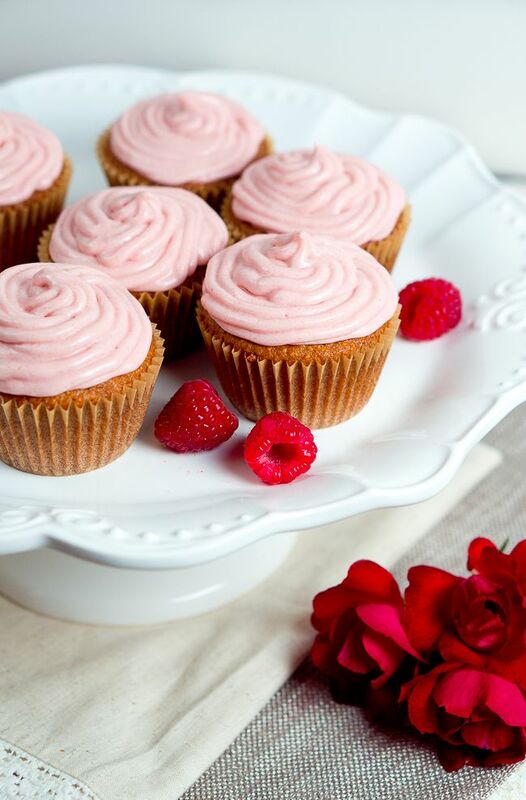 Today, I am thrilled to share with you these gluten free almond cupcakes and to support Cook for the Cure campaign! Cook for the Cure was created to give those with a passion for cooking a way to support the breast cancer movement. It raises funds and awareness for the fight against breast cancer and there are so many ways for you to get involved. YOU and I can fight for the cure by baking cupcakes! How cool is that? The funds raised from Cook for the Cure have a direct impact on Komen’s promise to save lives and end breast cancer forever by empowering people, ensuring quality care for all and energizing science to find the cures. 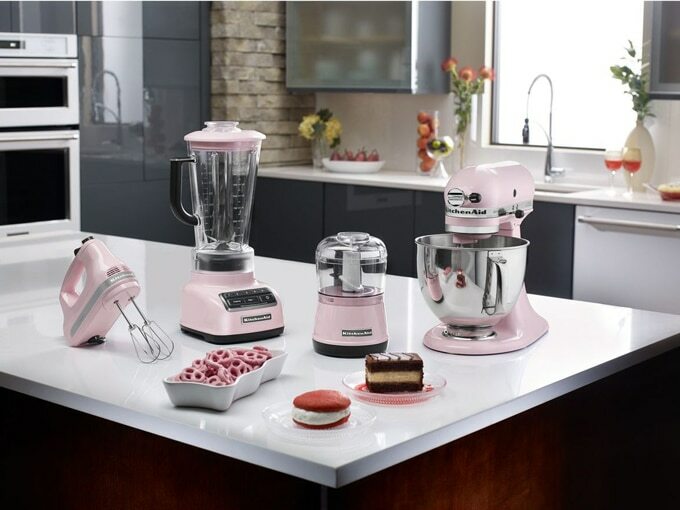 For fourteen years, KitchenAid has hosted special Cook for the Cure fundraising events, auctions and also has pioneered grassroots programs to donate to the Susan G Komen foundation. To date, KitchenAid has raised over $10 million for Cook for the Cure! 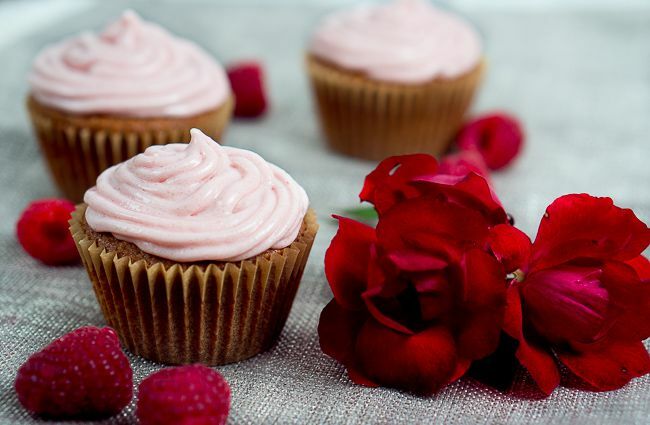 These gluten free pink cupcakes are great for a party to raise funds for breast cancer awareness and research, but I can also image them at a baby shower, a wedding shower, a birthday party, or another special event. When I was challenged to create cupcakes in support of Kitchenaid’s Cook for the Cure campaign, I knew that I wanted to make almond cupcakes. They are so easy to make, and the hint of almond extract makes them heavenly. 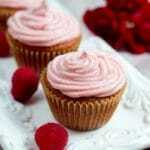 These almond cupcakes with raspberry cream cheese frosting are gluten free and very easy to make. The cupcakes themselves can be customized in different ways. You can add fruit to the cupcakes or choose a different frosting/topping, the possibilities are endless. I also love that they are not overly sweet, just perfect! If you are wondering how to make a pink frosting without using any food coloring, look no further. This pink cream cheese frosting is perfect and the color is all natural. Adding a few teaspoons of raspberry puree, creates that nice pink color. I shared some of these cupcakes with my family, and when my mother and grandmother tried them, they couldn’t believe that a gluten free cupcake can taste so good. They kept joking that I have to open a bakery. Preheat oven to 350 F and line a cupcake tin with cupcake liners. Place almond flour, coconut flour, baking powder and salt in a medium bowl and mix well. In a large bowl, beat the butter and coconut sugar on high speed until well combined and creamy. Add maple syrup, eggs, vanilla and almond extract and beat until ingredients are well combine. Slowly add dry ingredients (almond, coconut flour, salt & baking powder) into the butter mixture and mix for few minutes until well combined. Spoon the batter into the cupcake tin, until the liners are about 3/4 of the way full. Baked at 350 F for about 25 minutes, or until toothpick inserted in the center comes out clean. Let cupcakes cool out completely on a wire rack before frosting. Blend 1/2 cup of raspberries in a blender. Strain raspberry cream through a fine sieve to catch the seeds. Beat cream cheese and butter until creamy, starting on low speed and increasing to high. Slowly add the powder sugar and beat until well combined. Add 1 tbsp vanilla extract and 3 - 4 tsp raspberry cream to the cream cheese mixture (add less or more depending on how vibrant pink you like your frosting to be). Place the frosting into a piping bag and pipe onto the cupcakes. I hope you have been inspired to try baking my cupcakes! If you do, please share your photo on Twitter or Instagram using the hashtags#10000CUPCAKES and #DONATE and tagging @kitchenaidusa – and KitchenAid will donate $1 for every photo shared to the Susan G. Komen Foundation. Find out more HERE. If everyone gets involved, that could end up being a huge donation! For more information on what you can do to get involved in the Cook for the Cure and #10000CUPCAKES campaign, click the button. Disclosure: Thank you to hhgregg for sponsoring today’s post and inspiring me to bake cupcakes to support the fight against breast cancer! These cupcakes look amazing! I adore cream cheese frosting, it is one of mu favorites! Thanks, Marye! Yes, I prefer cream cheese frosting much better than buttercream frosting. My question is how much butter is added to the cream cheese for the frosting? These are gorgeous! I adore both raspberry and almond so combining them together is just perfect! These photos are gorgeous! I love the combo of almond flavor + the raspberry cream cheese! Yum! Almond flavoring of any kind is my weakness….I would put it in every dessert if I could! Yes, yes, me too! 🙂 I love almond extract! 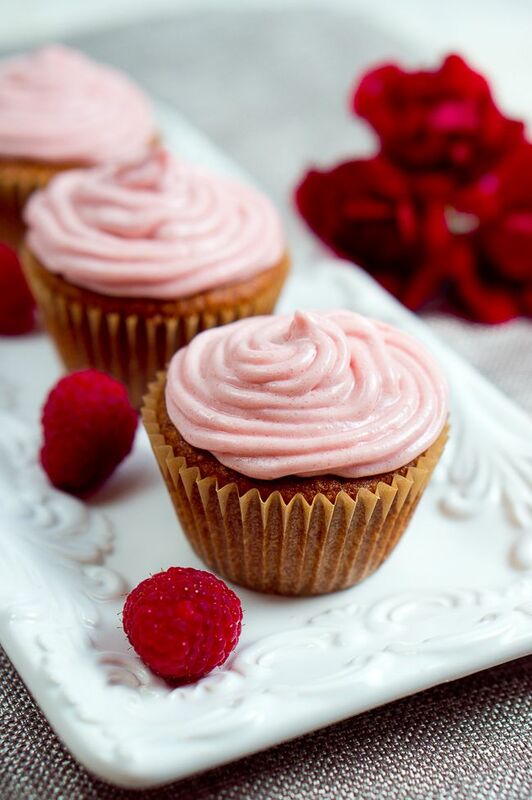 These look delicious…I love the almond flavor and raspberry cream cheese frosting…well I would have a very hard time resisting that! These look beautiful and delicious! Need more gluten free recipes up my sleeve! Oh wow!!! Great recipe! Thanks for sharing!!! Could you tell me a way to make the frosting to taste like a cherry cream cheese frosting? My mom loves almond and Cherry flavors.